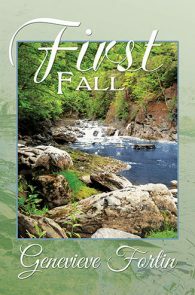 In 1888, the impoverished Levesque family becomes one of thousands of French Canadians forced to leave their beloved country and seek employment in the booming textile mills of Fall River, Massachusetts. Young Emilie Levesque’s initial culture shock is eased by her intelligence and adventurous nature—and by her budding friendship with Angeline Fournier, the US-born daughter of a fellow immigrant family. As they grow into young women, their close relationship is a welcome respite from the stifling heat, dust-filled air, deafening noise, and mind-numbing work at the mill. Emilie knows she is different but has no words for what she is or what she feels. All she knows is that she wants Angeline with her always. Despite her own hidden attraction to Emilie, Angeline cannot conceive of life beyond what all 19th-century girls are taught to aspire to: a husband, a home and a houseful of children. A life-altering kiss and painful parting will lead the women on very different paths—until an unthinkable tragedy brings Emilie back to Angeline’s side. But can these loving friends ever cross the forbidden boundary between the warmth of affection and the heat of desire? Water’s Edge is a deeply moving historical romance by the bestselling author of First Fall and Two Kinds of Elizabeth. 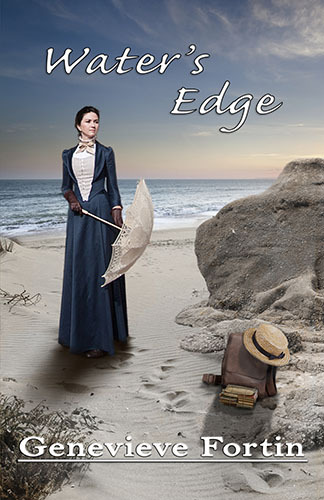 Historical lesbian romances are few and far between, but I usually really enjoy them, and this one was no exception to that. Set in 1888, partly in Canada and partly in the US, it tells the story of Emilie and Angeline. Both young girls come from families who have fallen on hard times in Canada and are forced to travel to the US to find work. 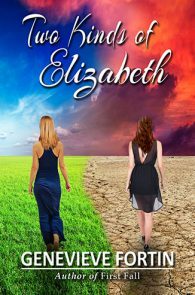 I liked how the author followed both women’s different pathways from each of their points of view—it gave me a great insight to the different ways of living both of them had chosen, and the challenges they each faced. I empathized with each of them at different points in the tale, and the author did a great job of delving deep into their emotions, making me connect with both women. The historical setting was authentic and clearly well-researched; the author’s introduction explains how she has a personal interest in the background of this story and she clearly wanted to do it justice. 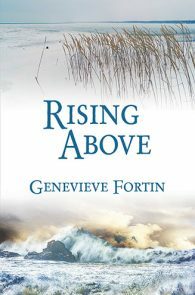 Pin’s Reviews - This is my first book by Genevieve Fortin, but after reading this one I will definitely check out other offerings from her. The story is divided into four chronological parts (Flow, Maelstrom, Meanders, and Undertow), and follows the life and love of two women from childhood to maturity, one of which is resigned to such fate, even accepting it as the only possible way of living, but the other, always a rebellious one, is not. One is in denial, the other accepts herself as she is. She wants to live a life of her own while breaking some rules of her time. Would they, with such different personalities, succeed in loving each other and living together in such unsuitable environment? To find that out you have to read this well written book. I liked it a lot, and very much recommend it to anyone who enjoys this kind of stories. Lex Kent’s Reviews - This is not a book I would have picked up on my own. I'm glad I had the chance to review it, and read it. Historical-fiction fans, you will enjoy this book. I will be keeping my eye out for books by Fortin, in the future. This book is like a prayer answered-a story about my ancestral homeland, set in the same period as my grandmother’s youth, and containing little nuggets of Franco culture. It’s beautifully written and my only regret is that the story isn’t longer. A great love story set in an impossible time for a lesbian couple, yet Genevieve Fortin pulls off a promising ending with a tale that could only be woven by a true French Canadien. Nicely done, and I will read more of her work. Emilie Levesque sat on the top step of the narrow L-shaped staircase that led down to the small kitchen where her parents were having a discussion that seemed very serious to her eight-year-old ears. So serious that she got up and went to awaken her older brother Joseph to listen to the conversation with her. He grumbled in protest but finally followed Emilie and sat with her on the top step, most likely wondering what kind of drama his sister was brewing this time. All she’d heard before she went to get her brother was something about leaving their farm and she was scared. She would never admit it to ten-year-old Joseph but his presence as he held her tiny hand reassured her. She’d never been alone in her life. She had Joseph. Most of the stairs could not be seen from the kitchen since they hid behind the wall that hosted a large cast iron woodstove. In fact, Emilie knew they could sit lower without being seen which would allow them to hear their parents much better, but she also knew that one more step down the pine wood stairs would make them squeak and they would get caught and punished. Emilie didn’t get caught often because she knew how to avoid it. She glanced at her brother and grinned. Joseph, on the other hand, rarely disobeyed or attempted any mischief, but when he did he got caught every single time. They were complete opposites, even physically. Her hair was as dark as a crow’s plumage; his was blond, almost white in the summer. Her eyes were black as coal; his were blue as the clearest of skies. She often envied her brother’s features. The only attribute they had in common was the pale skin they inherited from their mother. And the only advantage she thought she had over her brother was that her skin lightly tanned in the sun while his freckled. Other children often made fun of him because of his freckles and Emilie jumped to his defense any chance she got. Emilie noted shame in her father’s voice and her heart broke. She looked down to a hole in her nightgown that her mother had just mended for the third time. The grayish white cotton nightgown was too long and she stepped on it all the time but it was the only one she had, a hand-me-down from an older cousin. She knew they didn’t have money. She never had any of the pretty new clothes they sold at the general store. Her mother reminded her they had to make do every time she dared complain about eating potatoes for dinner again. Yes, she knew they were poor, but she had no idea they could lose their house. What were those payments her father was talking about and how could they force them out of their home? Her parents worked hard. She knew that too. Every day but Sunday. Wasn’t that enough? “How did we get to this point, Henri?” Her mother’s voice cracked. She was crying. Emilie heard the scraping of a chair being moved across the floor and she imagined her father getting closer to his wife as they sat at the small square kitchen table where they ate every meal. When her father spoke again his voice was calm and soothing. Emilie closed her eyes and let it comfort her. She needed it as much as her mother. The boys were Emilie’s five older half-brothers. She barely knew them. The youngest of the boys, Edouard, was ten years older than Emilie and had moved away when he was fifteen years old to join his older brothers who all worked in a cotton mill in Fall River, Massachusetts. Emilie remembered taking him to the train station with her father. That was the first and last time she’d seen a train. Emilie didn’t know much about her half-brothers other than that. Emilie’s mother was her father’s second wife. His first wife had died while giving birth to a sixth child. The child had not survived either. They never talked about it. The only reason Emilie knew was because she’d listened in to a conversation between her parents and the priest one night. Father Lavoie visited their home regularly. Emilie had missed most of what they’d said but she’d caught the end of it, when the priest had suggested it might be time for her mother and father to have a third child. Emilie had gotten excited at the possibility of having a little sister or brother. Her father had remained polite but when Father Lavoie had left she heard him say to her mother that the last time he’d let a priest convince him to conceive a child against the doctor’s orders he had not only lost the child but his first wife and the mother of five living children. He added that the experience had taught him to take the word of a doctor over any priest when it came to childbearing and that it was more than likely God’s will for children to grow up with a mother. Emilie had thought her father was brave for defying a man of cloth, but she’d also been scared he’d be punished for his bravery. The entire conversation had remained with Emilie and she’d often wanted to question her father about it but the pain she’d heard in his voice that night told her she should leave it alone. Emilie felt her hand fall to her side as Joseph released it, stood up and whispered, “I’ve heard enough.” She heard how defeated he sounded but couldn’t move to comfort him. She heard more whispering coming from the kitchen but she didn’t try to understand any of it. Her world was crumbling around her. She thought of the children at school she couldn’t call friends but who were at least familiar. She thought of her aunts and uncles she wouldn’t see anymore. Even the cousins she didn’t like but were part of the world as she knew it. She thought of the animals on the farm, the few they had left, especially the big gray cat she called Misty and with whom she shared her dreams. Then Emilie thought about all the books that grownups had let her put her little hands on. Some from her mother, some from her aunts and uncles, some books from school. All of her dreams came from those books and her own imagination. Dreams that included traveling on a train and finding people she might have more affinity with. In foreign countries where she could be whatever she wanted. Then she wondered if perhaps Fall River could be the beginning of her dreams coming true instead of the end of her world. She grinned and went back to bed with a feeling she wasn’t accustomed to: hope. When she woke up on the train and her mother told her they were almost there, Emilie was disappointed. She’d been so excited to be on board a train at last and wanted to take in every bit of the scenery the windows had to offer, but the sound and comforting movement of the train traveling over the tracks had soon put her to sleep. She glanced at Joseph and was relieved to see him asleep. Chances were he hadn’t seen more than she had and couldn’t tease her about it later. Emilie looked at Joseph’s brown wool pants and crisp white cotton shirt, then down at her own blue dress. They were not new but almost. Their aunt Rita had offered them the practically new outfits for their big trip to the States. Their cousins had thrown a fit over giving away their good clothes but were quickly reminded it was the charitable thing to do. Charity or not, Emilie was proud of her blue dress. It had short sleeves, a round collar, and a white sash around the waist. It was only slightly too big and more importantly it was not brown or beige. Emilie then looked at her mother and felt pride from knowing that her own long hair was gathered up into a loose chignon, just like her mother’s. She often wished her own hair was the same light brown as her mother’s, but knowing she at least wore it in the same style was comforting enough today. When they arrived at the train station Emilie stood aside with her mother as Joseph helped their father carry one at a time the two large pine trunks in which fit all of their belongings. She was still amazed at how little they possessed. To pay for the trip and to get settled in Fall River, her father had sold the few animals they had left and some of the farm equipment he figured he could replace when they returned. As soon as they put the first trunk down Emilie sat on it and observed her surroundings. She’d never seen so many people in one place. And not one single familiar face. She couldn’t even understand what most of them said. The language they spoke was English, her father had explained, and he’d assured her that she and Joseph would learn it quickly. She caught herself smiling at a few other children who spoke French and they smiled back. She didn’t know them but their shared language was enough to make them familiar. Emilie’s father had explained that there were many families in Fall River who spoke French like them. Many even came from Rimouski or neighboring villages. She found that reassuring. “They’ll be here, Henri. Don’t worry. Oh, there comes Edouard,” Mathilde said as she looked over her husband’s shoulder. Edouard was the half-brother Emilie could remember best yet she barely recognized him. He wore a nicely trimmed beard and a three-piece suit with matching wool trousers, sack coat and waistcoat. He looked proud, yet tired. He shook his father’s hand with a formality that didn’t surprise Emilie. Yes, her romantic mind had imagined warmer greetings between a father and a son who hadn’t seen each other for over three years, yet she realized her imagination and reality rarely matched. This handshake was, after all, much more in her father’s character. “Where are the others?” her father asked Edouard. “Hi, Edouard,” said Joseph, and he shook his older brother’s hand as a man would. Emilie didn’t know what the most appropriate greeting was so she extended her hand as well. Edouard dropped to one knee and hugged her instead. “Nice to see you again, Edouard,” she murmured as she accepted his embrace. Right then the memory of Edouard carrying her on his back while he walked across the kitchen floor on his hands and knees flashed through her mind and she smiled. She’d been close to her half-brother once. Maybe she could be again. Emilie was exhausted when Eugene, Louis, Alphonse and Jean-Baptiste arrived at their new apartment in the Flint section of Fall River. She greeted her half-brothers and then followed Joseph to the bedroom they would share, leaving the adults to catch up. She was tired yet she couldn’t sleep. She focused on the stains she could see on the walls, even in the dark. Their apartment was one of six in what Edouard had called a triple-decker. It was on the third floor and it was stiflingly hot despite open windows. Their home in Rimouski wasn’t much larger than this two-bedroom apartment but it was clean, and fresh air came through its open windows. She would help her mother clean these walls tomorrow, she was sure of it. Emilie couldn’t believe how many of these triple-deckers lined the streets of their new neighborhood, all of them the same. She didn’t think she could find her way back to their apartment if she had to go anywhere alone. She couldn’t believe how many people were piled up in so little space. Edouard had told her father that they were lucky to have this space just for the four of them and that most apartments hosted families of eight or more. Her father had replied that if any or all of the boys wanted to share the space they were welcome to since it would allow them to save more of their wages. Edouard had promised to think about it. Emilie wondered where the boys would sleep if they moved in, but trusted her father’s judgment. She heard Joseph’s small bed squeak as he tossed and turned and sighed loudly. “You can’t sleep either?” she asked softly. They kept talking about the things they’d seen on their way from the train station to Flint and finally went to sleep in their new home. Two months after their move to Fall River, Emilie and Joseph were finally used to the fact that their mother left for the cotton mill with their father, Edouard and Jean-Baptiste six mornings a week. Eugene, Louis and Alphonse had decided to stay in their own apartment but Edouard and Jean-Baptiste had accepted their father’s offer to stay with them. Emilie’s parents had given the second bedroom to the older boys and the parlor at the front of the apartment had been turned into a third bedroom for Joseph and Emilie, with small mattresses directly on the floor. Emilie remembered her mother telling her as they’d first made the small improvised beds that they didn’t need a parlor anyway since they never had time to use it. A kitchen to eat and rooms to sleep in were all they needed. Emilie had turned nine in July and she was in charge of preparing dinner every night so they could eat in between six and six thirty p.m., as soon as the four adults came back from their thirteen-hour shift at the mill. She enjoyed cooking. In fact, of the long list of chores both Joseph and Emilie had to do every day, cooking was her favorite. Their chores didn’t leave Emilie and Joseph much time to play outside but they had an hour or two most afternoons to meet with neighboring children by the Quequechan River to swim or play or just chat. Emilie often chose to sit by herself and read an old book she’d already read. This time of day was her time. Besides, the children in Flint Village were almost exactly like the children in Rimouski. Emilie didn’t dare tell her parents or even Joseph that she was quite disappointed with Fall River. It was too much like home, but without the aspects of the farm that she actually missed, like green spaces and animals, animals she could speak to without fear she’d be mocked or misunderstood. Joseph, on the other hand, had adapted to life in Fall River much better than he’d expected that first night. He’d made lots of friends in Flint and as soon as they left their apartment he didn’t pay any attention to his sister, which saddened Emilie. On this specific Thursday of August, however, Emilie and Joseph didn’t go down by the river to play with the other children. Their mother had warned them that the apartment needed to be perfectly clean and the table needed to be set with their best linens, dishes and silverware. Father Robillard was coming for a visit, his first visit since their arrival. Emilie was surprised it had taken so long for the priest to accept her mother’s invitation. Back home, Father Lavoie had visited often and without being invited. When they’d left for the cotton mill that morning, her mother had seemed nervous and anxious to finally have Father Robillard over for dinner. Her father, however, had seemed less than pleased. He’d even grumbled something on his way out the door about the money this meal would cost them. Her mother had left Emilie in charge of the pea soup, which Emilie had made before, and had bought pork and beef for a stew. Emilie had made stew once with her mother but today would be the first time she made it alone. Stew was a meal they ate on rare festive occasions and Emilie prepared it with all the respect it deserved. When her parents and half-brothers came home, she was busy selecting the dishes with the least number of chips. Mathilde went straight to the stove and tasted the stew. “Mm, great job, sweetheart,” she told Emilie, kissing her on top of the head. “You make me proud.” Emilie smiled and watched her mother disappear into her bedroom. She knew her parents and half-brothers were hurrying to change out of their working clothes, covered in cotton dust, into their Sunday clothes. Emilie and Joseph had already changed into the same outfits they’d worn for the trip to Fall River. They hadn’t waited for their mother to tell them. The visit of a priest called for it and Emilie took advantage of every occasion she had to wear her pretty blue dress. Everyone changed quickly and Mathilde was fixing her chignon when Emilie heard a faint knock at the door. Her father opened the door and welcomed Father Robillard. He then introduced his children to the priest and the men all sat at the table. Emilie helped her mother serve dinner and when they finally joined the men at the table they all closed their eyes as their guest said a prayer. “Thank you for inviting me. I rarely have the occasion to share a meal with my parishioners,” Father Robillard said afterward. Emilie thought that was strange and from the expression of surprise on her mother’s face, she wasn’t the only one. It seemed some things, after all, were different in Fall River, and that made Emilie smile to herself. They ate as the priest talked with Emilie’s parents and her older brothers. Emilie focused on her mother as the conversation went on and she could swear she read more and more disappointment in her face. The first letdown had come when the priest mentioned that he hadn’t been to Canada in over a decade. The second came when he casually declared that he’d seen several families settle permanently in Fall River even though they’d originally come with the intention of going back to Canada. From her mother’s grimace at the priest’s casual declaration, it couldn’t have been worse if he’d pierced her chest with a knife. Emilie was as shocked as everyone else by her father’s words. She immediately stopped observing her mother’s reactions to bring her attention to her father, whose face was as stern and stoic as Emilie had ever seen it. His gray eyes had become black and his mouth was sealed into a tiny, lipless line, barely visible in the thick black beard studded with white hair. It seemed to Emilie that the thin crown of gray hair on the priest’s head tried to stand up, and in her mind she could easily see smoke coming out of the priest’s ears. It made her smile, but her smile quickly disappeared as Father Robillard swallowed the bite of stew he’d been chewing and addressed her father directly at the other end of the table. “But Mr. Levesque, surely you want to ensure your children go to a school where their catholic religion and values are taught daily, and in their own language. It is, after all, the only way to maintain their culture and their religious beliefs, the only way to avoid the corruption that grows so easily at every street corner of this country. As the proverb goes, Mr. Levesque, tell me with whom you associate, and I will tell you who you are.” The priest ended his speech with a nervous yet condescending laugh and a long silence followed. “Henri,” Mathilde interrupted. “I think that’s enough.” She spoke in a voice that was soft but achieved her goal as he stopped talking and took another bite of stew. It was the second time Emilie heard her father defy a man of cloth and this time it scared her even more than the first because he’d done it right in his face. Emilie waited for God to strike their apartment with lightning or show his disapproval in some way. But there was only thick, uncomfortable silence. Emilie helped her mother with the dishes and went straight to bed with Joseph. Edouard and Jean-Baptise quickly retired to their bedroom as well. Her mother hadn’t said a word while they washed dishes, which was not usual, but she was clearly, obviously upset. Once everyone else was sleeping, Emilie listened to the argument between her parents. Her father would not back down. She argued that the priest was right, that they needed to go to a French-speaking, Catholic school to keep their virtue and culture intact. He argued that it wouldn’t hurt them to be exposed to different children. But his biggest plea was that he wouldn’t give any money to the Catholic Church when there were free schools available. His final words were, “I’m not going to change my mind about this, Mathilde.” His tone was as rigid as steel. Emilie hadn’t heard her father use those words often but she knew that when he did use them, they marked the end of the conversation. She heard a door slam and then nothing. That night, Emilie took a long time to finally fall asleep. A small part of her still feared for her father because of his defiance, but a bigger part of her was pleased she’d be going to public school. She’d been told there were American children there, as well as Irish, Italian, Polish and even Russian children. She smiled at the possibility that she might finally stop feeling like the odd one out. The first day of school wasn’t at all what Emilie had expected. Her father had promised English would be easy to learn, but she didn’t understand anything. She’d loved school in Canada, but here she felt like an idiot. How could she learn when she couldn’t understand anything her teacher said? It was so frustrating. The other children were different from the children in Rimouski and in Flint Village, that much was for sure, but she couldn’t imagine finding kinship with any of them. Most didn’t pay attention to her. They stayed with their own group and didn’t seem to share her need to get close to anyone outside of their clan. Italians stayed with Italians, Polish with Polish, and so on. The only group that paid any attention to her was the Irish and so far it was only to insult her. They’d called her “Peasoup” or “Frog” all day long and one had even yelled at her to go back home. He said other things Emilie couldn’t understand, but she knew what “go back home” meant. Emilie ignored the comments but she didn’t understand how children she’d never been in contact with could hate her so much just because she was from Canada. She’d known a couple of Irish children in Rimouski, but they were just like the others. Certainly not mean. It had been a horrible day and Emilie was ready to go home, maybe not to Canada yet but at least to their apartment in Flint. She almost ran to the spot where she was supposed to meet Joseph so they could walk back together, but when she got there the scene she witnessed horrified her. Joseph was on the ground and a group of four children his age were kicking him, spitting on him, and yelling at him words that Emilie couldn’t understand beside the familiar names she’d been called herself all day long. Emilie’s instinct was to defend her brother so she started yelling. “What’s wrong with you, boys? Leave my brother alone right now or my five older brothers will kick your butts!” The boys briefly turned to Emilie but only to laugh at her before going back to Joseph. Certain they couldn’t understand her threat because she’d addressed them in French she was trying to think of English words when someone spoke French behind her. “That’s not going to work. Between the four of them these boys probably have fifteen older brothers of their own.” Emilie turned to see a girl slightly taller than she was. The girl walked past her and addressed the boys in English. They stopped beating on Joseph, grumbled, and went their way. “What did you say?” Emilie asked the girl as she picked up Joseph’s wool cap and they both walked toward him. She had long curly light brown hair and big blue eyes. Her cheeks were pink, her nose curved up just a little. She looked like the girls in that catalog her mother kept at home who wore all the pretty dresses she’d never have. “Yes, I’m fine,” Joseph mumbled as he shook the dirt off his clothes. “They’re not that strong,” he added with the little pride he had left even as he brought his hand to his side. He took his wool cap and put it back on his head with a forced grin. “Thank you,” he said to the girl. “Yes, thank you,” Emilie added. “Yes, I’d love to walk with you.” Angeline bent forward to whisper into Emilie’s ear, but made sure Joseph could still hear, “Someone has to be there to defend your brother.” Emilie laughed. The girls started walking together and Joseph walked behind them, kicking rocks as if they were the boys who attacked him. Emilie was grateful for the time it gave her to speak to Angeline alone. “How long did it take you to learn the language?” she asked. “What fight is that?” Emilie asked, genuinely curious. Joseph went on about Canada and Angeline hung on to every word. Emilie missed her attention but couldn’t help smiling. Her first day at school was ending much better than she’d thought possible. She had a friend, a friend that was both like her yet different. A perfect blend of a friend. Just for her. And apparently for her brother. Later that night Angeline Fournier had dinner with her family just like every other night. There was just as much noise around her. Her four sisters and her mother talked about the eldest’s upcoming wedding. Her three brothers and her father talked about work and politics. Everything was like every other night, except Angeline felt different. She didn’t feel alone anymore. She had not one but two new friends, friends her own age. Five years separated Angeline from the youngest of her older siblings. They all cared for her and took care of her in their own way, but she’d never been close to them like Emilie and Joseph were to each other. Angeline was used to feeling lonely. She never tried to tell anyone because she realized how bizarre it would sound for her to complain of loneliness while she grew up with seven siblings in an apartment where silence was impossible. But bizarre as it may sound, she still felt lonely. She was the little one, the one no one ever seemed to speak to. Sometimes they spoke about her, but never to her. The only way she’d found to get their attention once in a while was her humor. A joke or a funny face would make them laugh before they went on with their own conversations. She’d craved attention her whole life. Until today. Joseph and Emilie both seemed eager to give her their attention. She smiled to herself as she ate her cabbage soup. When she’d seen Joseph and Emilie after school she’d just wanted to help them. She figured she’d get the Irish boys off their backs and go her own way. But when Emilie asked her to walk with them, something happened inside her. Her heart opened up to this new girl, almost against her will. She would usually have said no thank you and walked away, but she couldn’t help but say yes instead. Something stronger than her and her old habits wanted to walk with Emilie, talk with her and be with her for as long as she could. That skinny girl, with her straight black hair, her black eyes, and her pale skin, was definitely odd, but also interesting. The way she spoke was different, like a grownup. The way she asked questions, with that wrinkle between her thick eyebrows, told Angeline she was truly interested in her answers. When Emilie talked with her Angeline knew she had her undivided attention, and she loved every minute of it. Joseph was something else. What she liked most in him was his love for Canada. The way he spoke about the home country they shared was fascinating. Angeline had always dreamed of seeing Canada some day and when Joseph described it she felt like she could see it through his eyes. To Angeline, Joseph was the personification of Canada. He even had the look. Square shoulders and a solid build. He was ten but could pass for thirteen. He looked like her brothers when they were younger, like most boys her father referred to as hard-working, strong Canadian boys. Angeline helped with dishes and went to bed thinking about the Levesque children. They’d decided to walk to school together, all three, the next morning. Angeline’s life had changed today. She was no longer the loner she’d always been. She was part of a trio she knew in her nine-year-old heart would stick together for a long time.